There are a number of more in-depth samples in the datomic-groovy-examples project on Github. Groovy provides interactive development through groovysh, the Groovy shell. When combined with Datomic's dynamic, data-driven style, this makes it easy to interactively develop code in real time. The source code for this post has a number of other examples designed for interactive study within the Groovy shell. Of the popular expressive languages that target the JVM, Groovy's syntax is most similar to Java's. op is a keyword naming the operation. :db/add adds a datom, and :db/retract retracts a datom. entityId is the numeric id of an entity. You can use tempid when creating a new entity. attributeName is a keyword naming an attribute. value is the value of an attribute. The allowed types for an attribute include numerics, strings, dates, URIs, UUIDs, binaries, and references to other entities. Keywords are names, prefixed with a colon, possibly with a leading namespace prefix separated by the slash char, e.g. Notice that this time we did not call transact yet, instead we just stored data describing the user into newUser. Composition is automatic, and requires no special API. ACID transactionality is scoped to transaction calls, and does not require careful management across separate calls to the database. Because they are data, Datomic transactions are flexible across system topology changes: they can be built offline for later use, serialized, and/or enqueued. Keyword constants in the :where clause constrain the results. Here, :user/email constrains results to only those entities possessing an email. Symbols preceded by a question mark are variables, and will be populated by the query engine. The variable ?e will match every entity id associated with an email. A query always returns a set of lists, and the :find clause specifies the shape of lists to return. In this example, the lists are of size one since a single variable ?e is specified by :find. Note that the query argument to q is notionally a list. As a convenience, you can pass the query argument as either a list or (as shown here) as an edn string literal. $ is Datomic shorthand for a single database input. ?email is bound to the scalar "editor@example.com". We have only scratched the surface here. 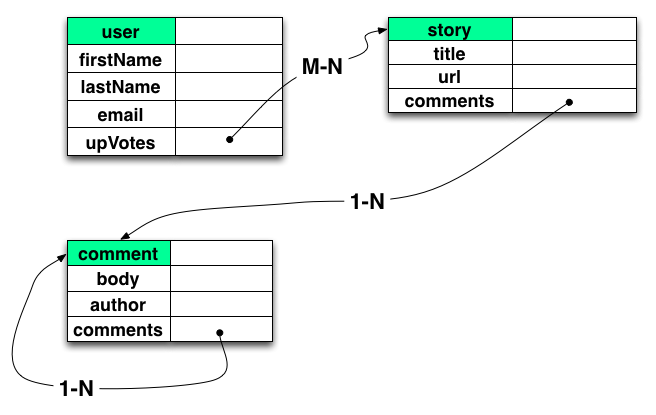 Datomic's query also supports rules, predicates, function calls, cross-database queries (with joins! ), aggregates, and even queries against ordinary Java collections without a database. 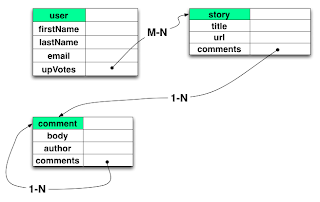 In fact, the Datalog query language used in Datomic supports a superset of the capabilities of the relational algebra that underpins SQL. In this installment, you have seen the powerful, compositional nature of programming with generic data. In Part 2, we will look at the database as a value, and explore the implications of having a lazy, immutable database inside your application process.